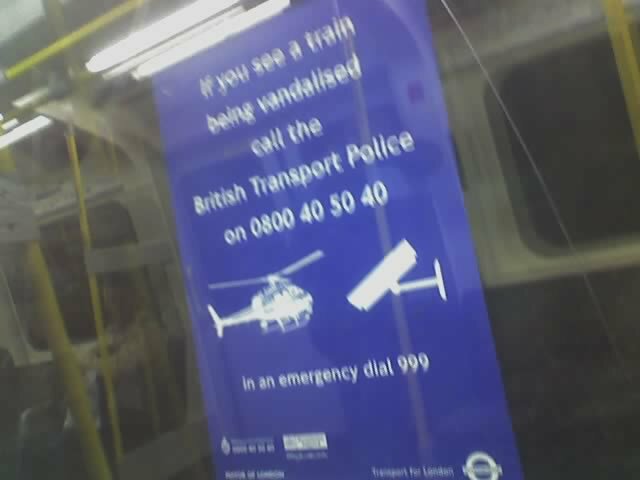 "If you see a train being vandalised called the British Transport Police on blah blah blah". Then there's a picture of a helicopter. 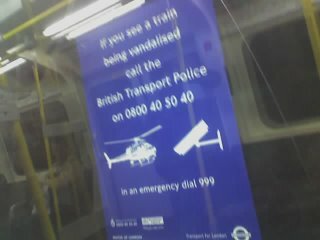 Are they suggesting that if you see someone slashing the seats then they'll jump on a helicopter, Mission Impossible style, and fly into the underground to stop the hoodlum?!!! Are there police helipcopters constantly on patrol to dissuade vandals?